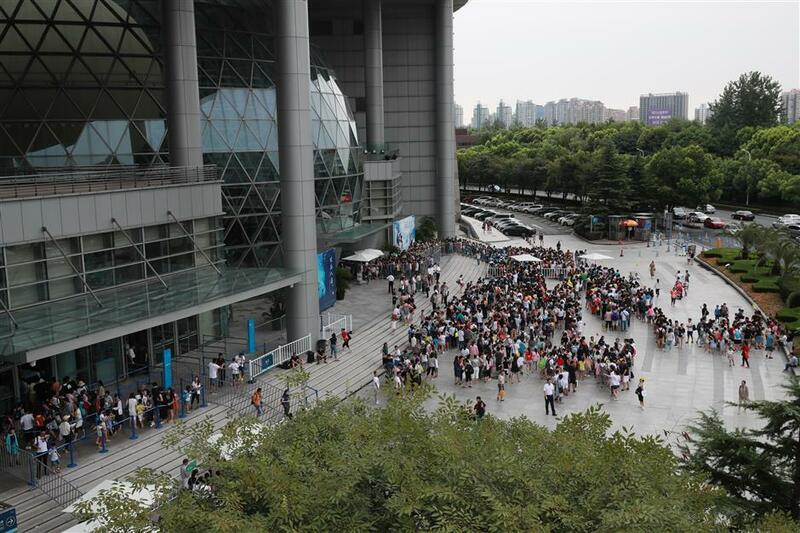 Shanghai Science and Technology Museum received 29,724 visitors on Sunday — a record during the summer vacation. 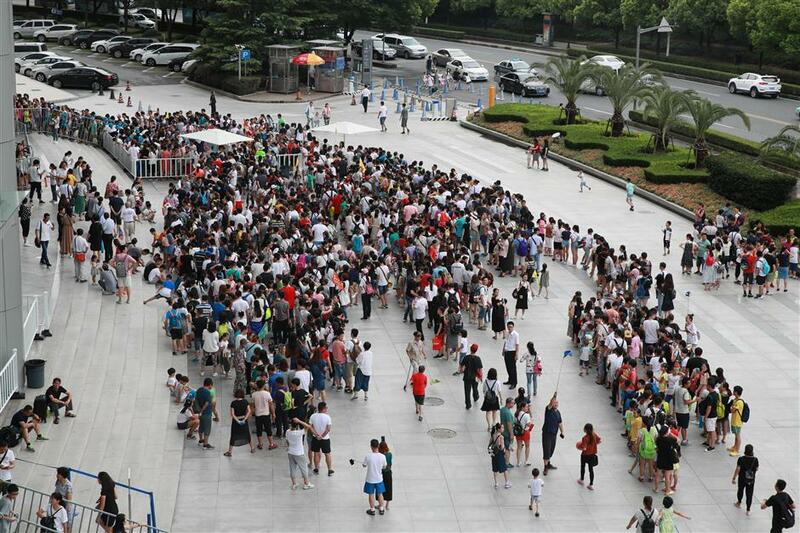 With the summer vacation approaching its end, the number of visitors to Shanghai Science and Technology Museum had its busiest day of the summer holiday on Sunday. The museum received 29,724 visitors, nearly reaching its 30,000 capacity. At 10:40am, the museum started to take traffic control measures as the number of visitors in the museum was already close to 13,500 by then. The museum’s four cinemas are considered to be its most popular spots this year. Their combined daily audience reached nearly 5,000 people during this summer vacation. The total number of visitors in the vacation has reached 190,000 so far, up 20 percent over the same period last year. To meet the increasing traffic, the museum launched a new online platform whereby visitors can buy tickets via WeChat and quickly enter the building by showing their ID cards. The new approach eases the pressure on the ticket booths and cuts waiting time for people queuing outdoors. However, the museum's popularity also attracts scalpers. As some events restrict the number of visitors, the museum issues reservation tickets for certain activities. However, the free reservation tickets can fetch up to 300 yuan (US$45) if bought from scalpers. To crack down on the scalpers, the museum has resorted to multiple approaches, including introducing biological recognition technology to recognize visitors coming back to the museum within the day. Staff also try to catch scalpers in front of the museum. On Saturday, museum staff caught 15 scalpers and reported them to the police. As of Sunday, a total of 3,135 student volunteers and 679 resident volunteers have helped the museum during the summer vacation.